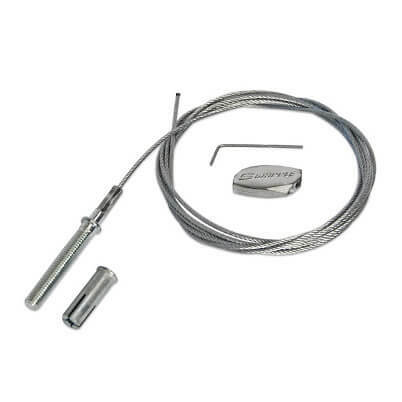 Gripple M8 Stud and Standard Hanger wire rope kit with drop-in anchor. Up to 90kg safe working load. Ready to use kits supplied as packs of 10 in a choice of lengths. 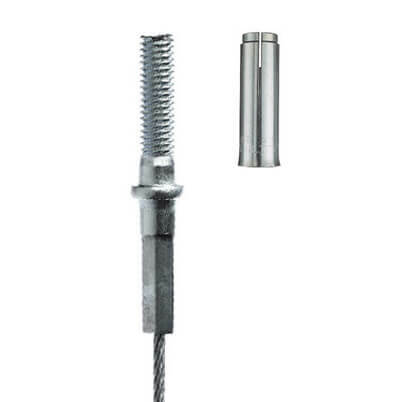 M8 thread stud with drop-in anchor designed for anchoring into concrete ceilings. Can be mounted through metal decking and pressed metal brackets, using a right hand thread M8 Nut to lock in place (Nuts and washers available separately). Can be installed Up to 6 times faster than traditional hanging systems. 10 x Galvanised Wire Rope with Pre-crimped M8 Thread Stud. 1. Drill hole (min depth of 30mm), use a wire brush to ensure hole is free from dust and debris. 2. Push or tap the drop-in anchor in place. 3. Use a M8 drop-in setting punch to expand the anchor. 4. Screw stud in place, always ensure a solid fixing before attaching any loads. 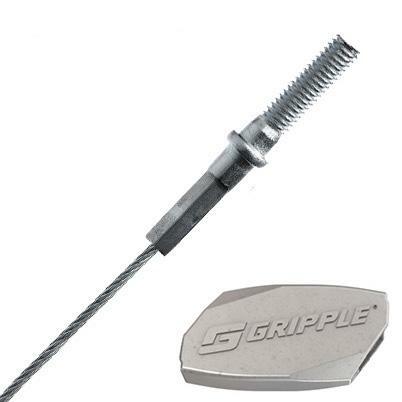 Gripple Hanger and M8 Stud wire rope assemblies are designed and manufactured in the UK. Gripple Drop-in Anchor Punch for correct installation. Gripple Wire Rope Cutters for a perfect cut everytime. Stainless steel Nuts and Washers.